Every time Sideburn takes a trip to the US we try to visit a few different shops or garages. 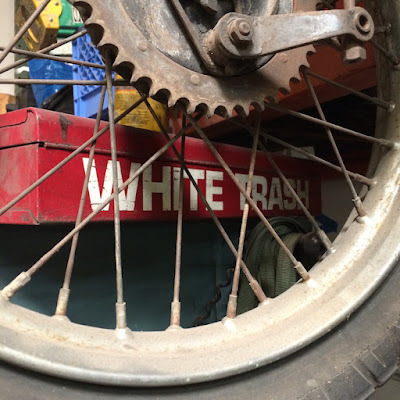 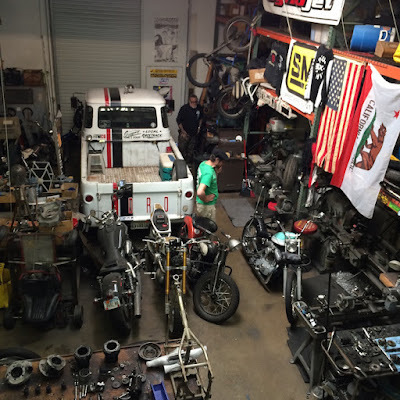 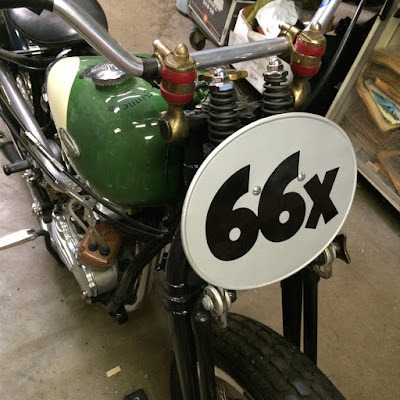 Earlier in the year we visited the new Brat Style outpost and Suicide Machine Co in Long Beach. 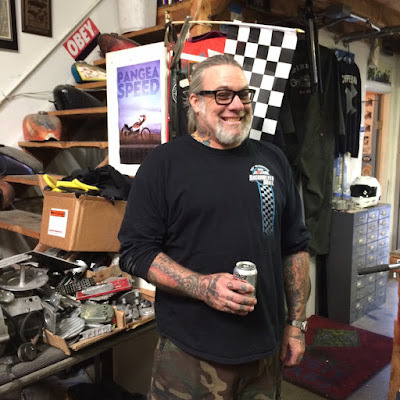 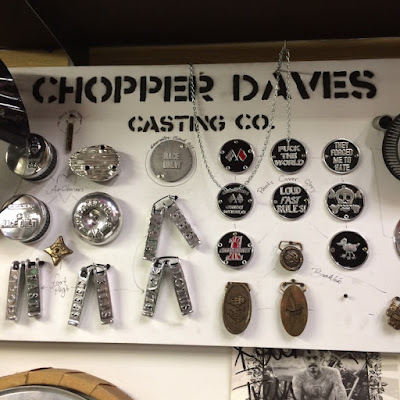 This time, while we were out for the US Superprestigio/ Superhooligan and LA-Barstow-Vegas, we called at long-time supporter of Sideburn, Chopper Dave's in Hawaiian Gardens. 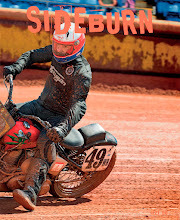 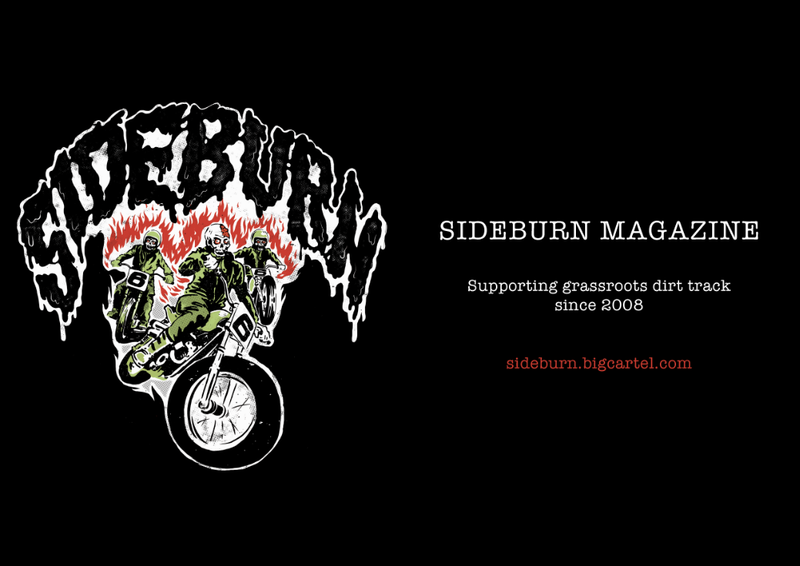 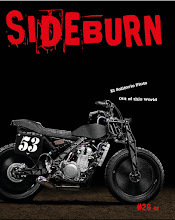 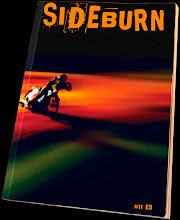 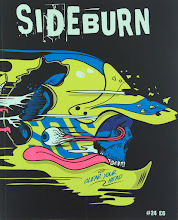 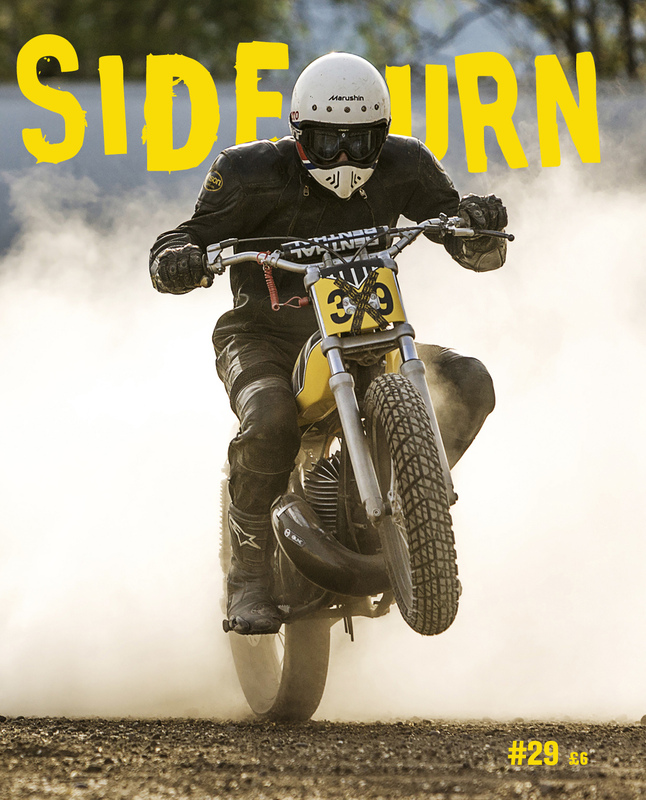 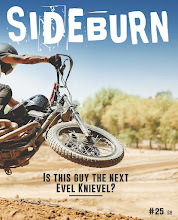 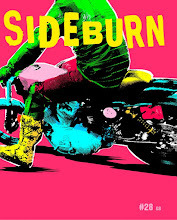 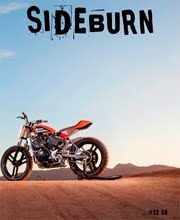 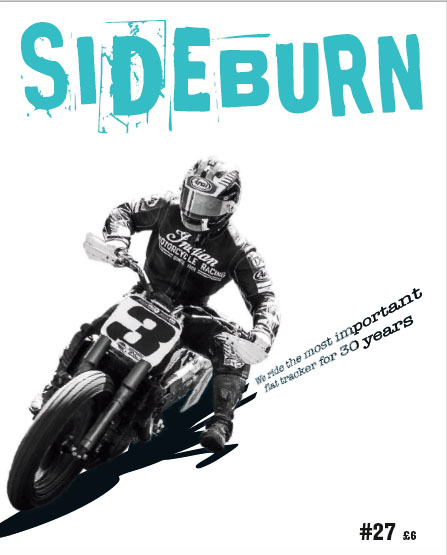 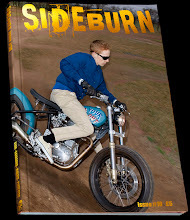 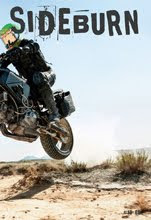 He was the first American to buy Sideburn issue 1; his race-ready street tracker featured in Sideburn 5; his Born Free turbo street tracker was in Sideburn 15. In a entirely forgettable trading estate, and behind a plain door, without a sign or clue to what's inside was the scene above. 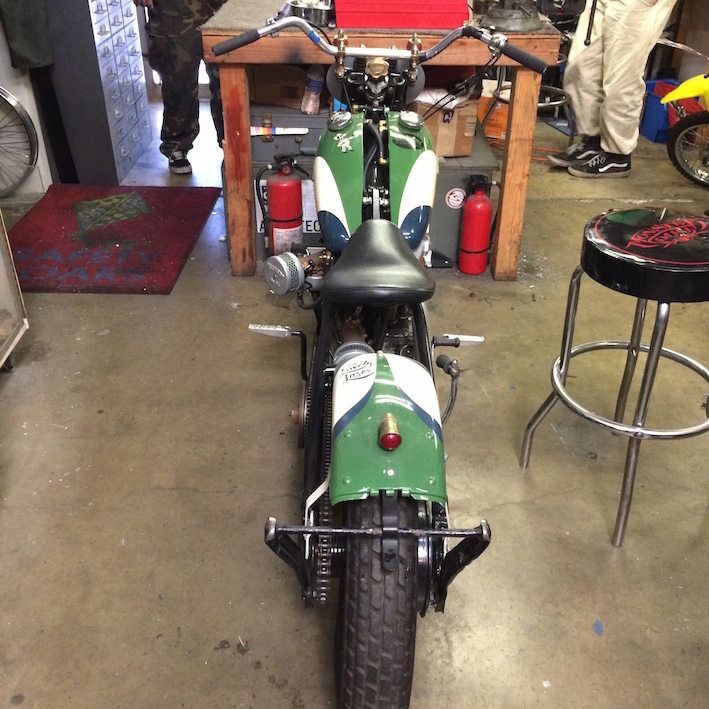 Some of the most influential Harleys of recent years were parked or in parts. A whole swap meet of tanks on the stairs. 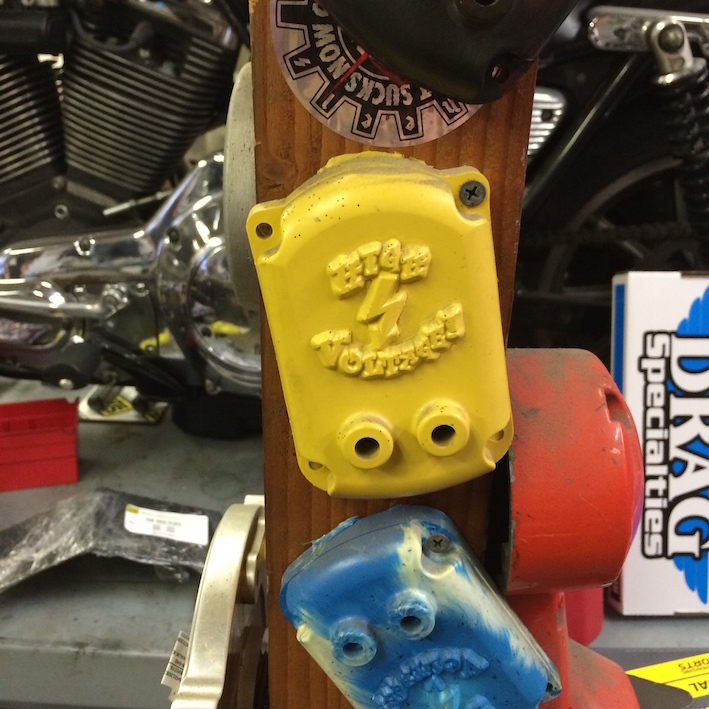 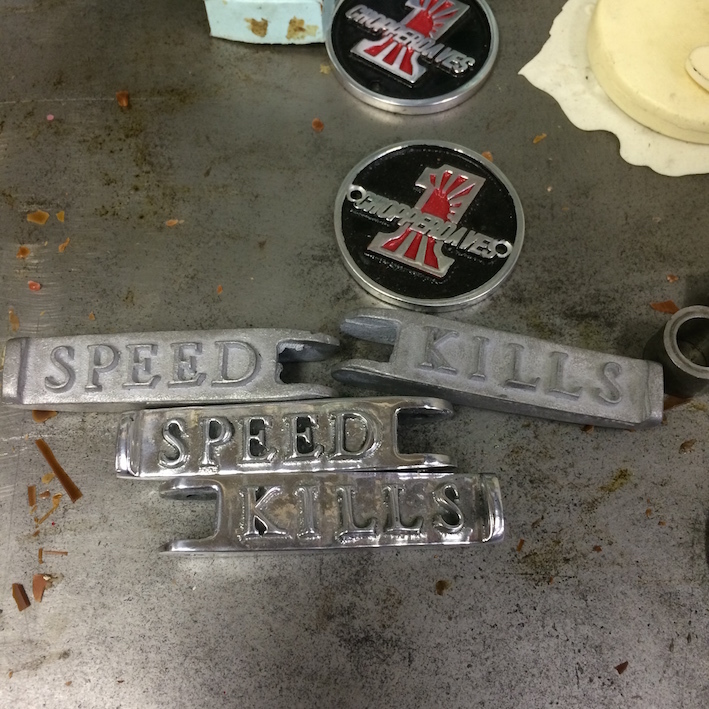 Dave casts a load of great-looking parts: filters; footpegs; car club plaques; ignition covers; belt buckles. 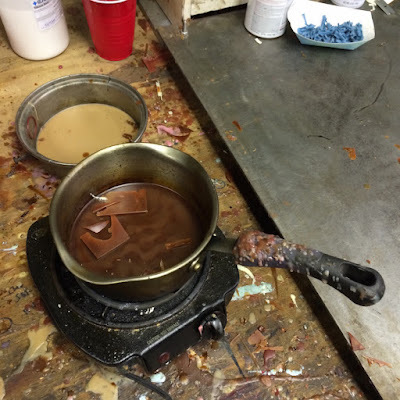 See more at Chopper Dave's Casting Co.
Wax to be melted to start the shaping process of casting. 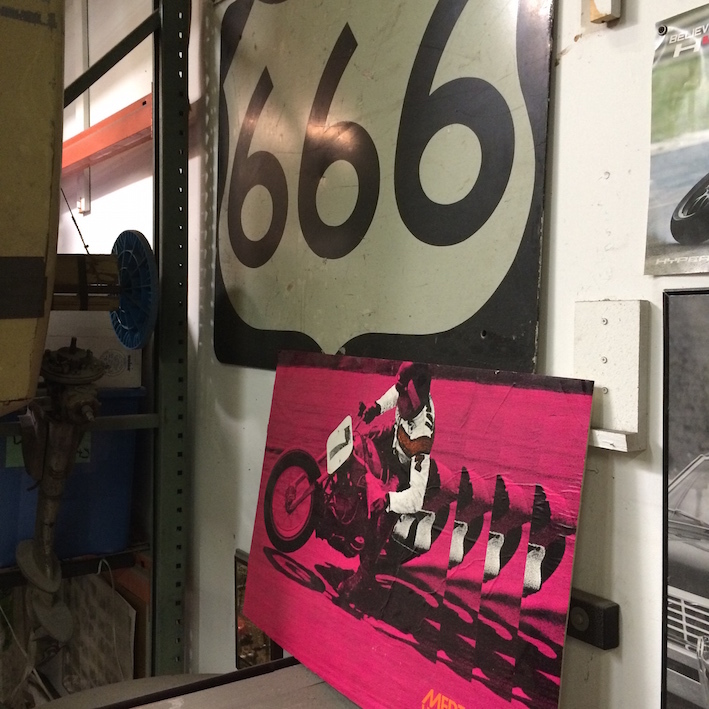 Dave giving us directions to Roland Sands' place. 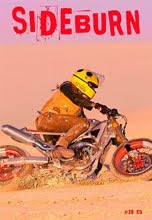 His fingers read H-O-L-D F-A-S-T. 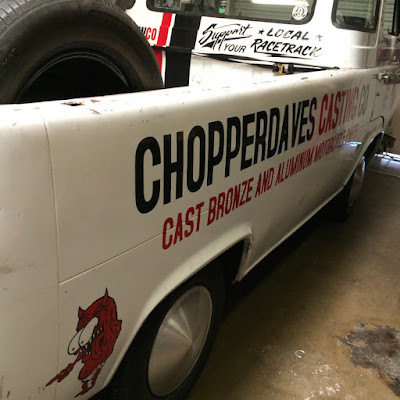 When Dave chopped the end of his little finger off at work, he added C-H-O-P S-A-W.